We all know that we need to be more active and that we need to spend less time sitting down. Many adults in the UK spend more than seven hours a day sitting or lying and this typically increases with age to 10 hours or more. This includes watching TV, using a computer, reading, doing homework, travelling by car, bus or train but does not include sleeping. Sitting for long periods is thought to slow the body's ability to regulate blood sugar, blood pressure and break down body fat. So now is the time to take advantage of Uckfield's green spaces. They are free and on your doorstep. We have some different suggestions for you here to help you #GetactiveinUckfield. Always remember if it has been a while since you have exercised and/or you have health issues or concerns, it is a good idea to talk to your doctor before starting a new exercise routine. Get fit while you do your shopping. 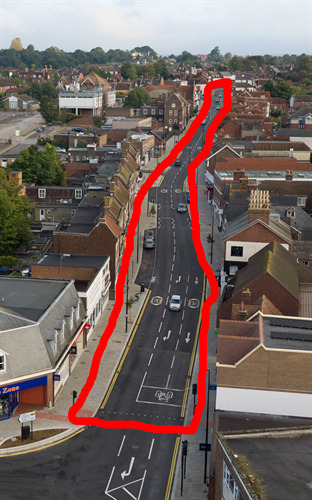 Walking a circuit of the High Street from the Bell Lane junction up to the Hooke Hall bus stop (just past the Broadway) and back down again is just over 1km or 1,500 steps. This is the perfect way to #GetactiveinUckfield without even realising you are doing it. With all the wonderful shop windows to look at on your way around you won't even notice how far you have walked! Situated conveniently behind the main High Street and car park, Luxford Field is the ideal place for a short perimeter walk. Try it out in your lunch hour. Walking two full circuits of Luxford Field in your lunchtime takes less than 10 minutes and covers just under 1km and 1,500 steps. Do that Monday to Friday and you will have walked 5km. 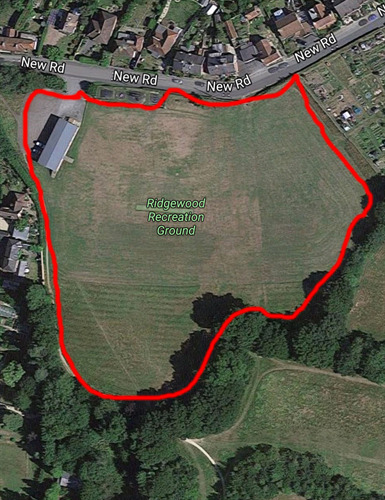 Located off New Road in the Ridgewood area of Uckfield, Ridgewood Recreation Ground offers plenty of opportunities to increase your activity levels in beautiful surroundings. The perimeter walk around the main field is just over 550 metres long which will be around 750 steps for the average strider. 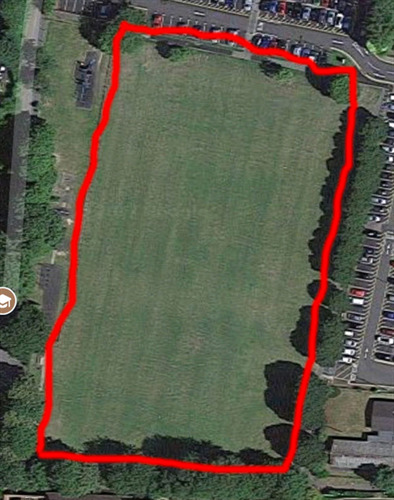 Walking at around 4mph, two full circuits of Ridgewood Recreation Ground could be completed in just under 15 minutes. This would cover just over 1km or 1500 steps for those of you using step counters. Victoria Pleasure Ground is situated behind New Town accessed via Old Timbers Lane. It is a large green space with plenty of parking available. There are a number of walks that could be undertaken here. If you walk Circuit 1 (red line on the map opposite) you will walk approximately 650 metres or 850 steps. The advantage of this walk is that there is a concrete path around the perimeter which can be walked in all weathers and is good for pushchairs. 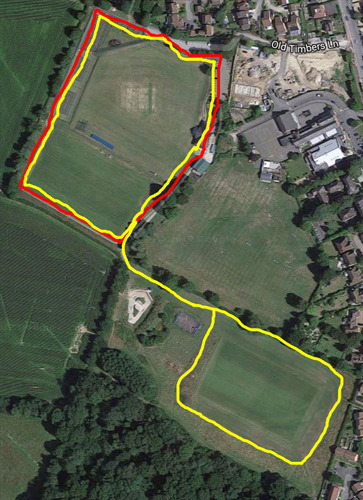 If you are feeling really energetic then extend your walk to cover Circuit 2 (yellow line on the map opposite). Completing this circuit will mean you have walked about 1.5km or 2000 steps. Think of all the calories you could burn doing that one! 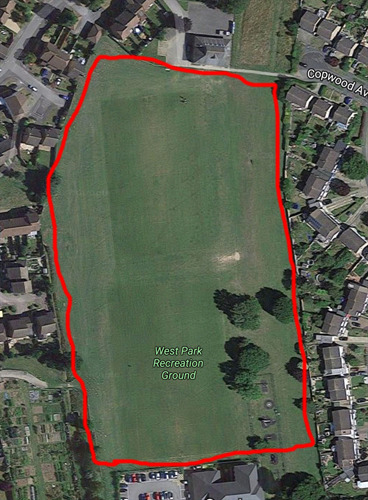 Accessed via Batchelor Way and Markland Way off the B2102, West Park Recreation Ground is another popular green space in Uckfield. The perimeter walk around the two football pitches is 700 metres long or just under 1,000 steps. There are apps available for smart phones or tablet devices that can help record your steps and calories burned. Why not take a look on your appstore to find out more! East Sussex County Council circular walks - provides printable leaflets of circular walks in East Sussex ranging from 1 - 9 miles. There are over 35 walks to choose from covering all of East Sussex. Walking in Wealden - lists 20 downloadable Wealden Walks in total varying from 4 to 12 miles in length, with at least one passing through every parish. There are 20 Wealden Walks in total varying from 4 to 12 miles in length, with at least one passing through every parish. Using over 150 miles of the existing public rights of way network they have provided a means of viewing and understanding Wealden's natural and historic landscapes. The walks are graded from 1 - very easy to 4 - more difficult. Walking for health - provides a search facility to find walks in your area and provides advice on walking with a health condition. Includes opportunities to volunteer to be a walk leader. NHS Walking for health - with lots of useful advice on walking for health.